This tab allows you to send SMS from myPRO device using Modem. 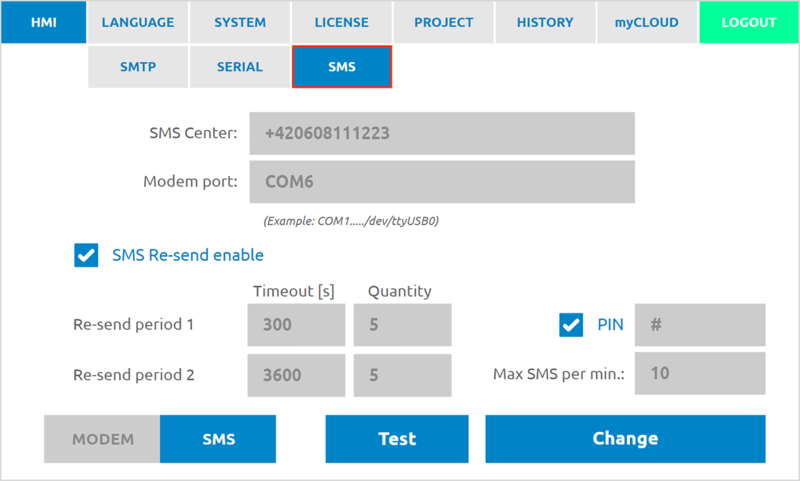 Firstly, you specify SMS Center. Modem port is port where is your modem plugged into your myPRO device. 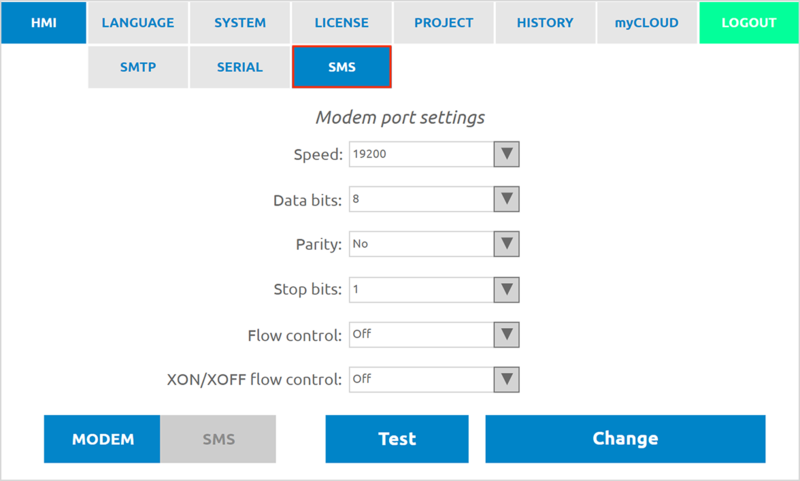 For additional SMS settings you can open up modem settings to fill required setting to make myPRO work with your modem.